Kitesurfing career. I began kitesurfing as a hobby, but it soon became my life. Initially I competed on the British Tour where I became British Champion for 2 years on the run, so after this I moved on to the world tour. My best position was 4th overall and I found it a challenge to train hard, stay positive and know how to train effectively. I recognized a big gap in the market for advanced kitesurfing coaching, so in 2009 I set up a business in just that. I now run Jo Wilson Coaching running coaching holidays all round the world as well as mini training courses here in the UK. In 2014 I established a British Youth Coaching Program to help aspiring athletes aged 12 and up to follow their kitesurfing dreams. I would like to run successful advanced coaching holidays all around the world for adults and establish a prestigious youth coaching program within the UK. Ideally I would like to develop youth coaching camps for kiteboarding brands and run these camps in reliably safe and windy places around the world. To contribute towards making a new and improved kitesurfing momentum within the UK with successful events and many competitors of all ages. I’d like to provide a training ground for young people and adults to travel and to enable them to continually push their level safely within kiting. 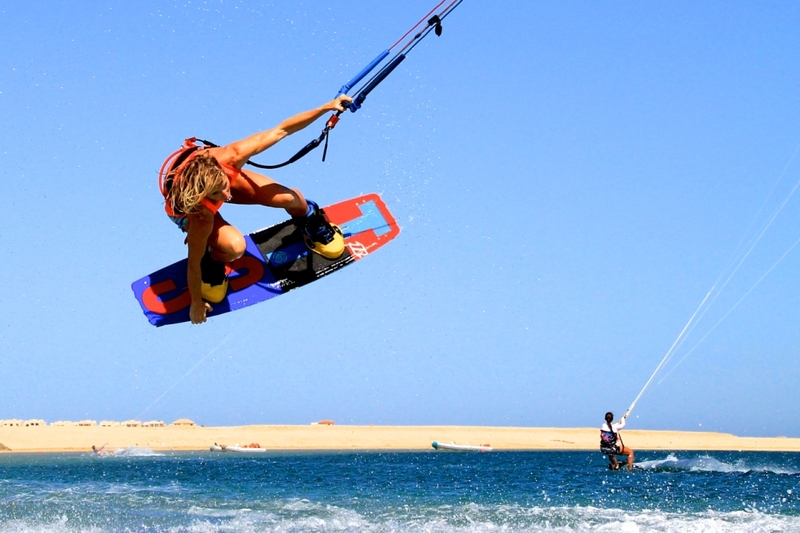 Kitesurfing to a high level involves dedication as well as both on and off the water training. Maintaining a balance between home life, work, fitness and keeping a high overall riding level is hard to achieve. One has always got to give and it’s hard to choose which one. My most satisfied sessions are normally realized the day after. When my mind is cloudy, body tired and I’m left feeling good for nothing. It’s these exhausted days that I realize I have put everything I had in to my session. Knowing I have nothing left to give! I have many spots around home where I can ride. Some of these places are amongst people or there is always a spot where you can be alone. Sometimes I ride here and other times I ride in my valuable free time between running kitesurfing coaching holidays. These holidays take me to phenomenal kite spots all around the world. I try to structure my session. If there is a trick I really don’t want to work on because it gives me the fear I break it in to 3’s. I commit myself to attempting the trick 3 times in a session every session. It soon builds the confidence to push harder and after a few sessions I’ll have the confidence to try more. I don’t compete anymore, but it used to be the fear of not showing my capabilities. I hope that I inspire many people to push their kitesurfing, but I wouldn’t say that any one is a ‘fan’. I think I already covered this question above. Invest the money you need to take a lesson through a well established kite school which has a great reputation. www.edgewatersports.com in the UK is brilliant. 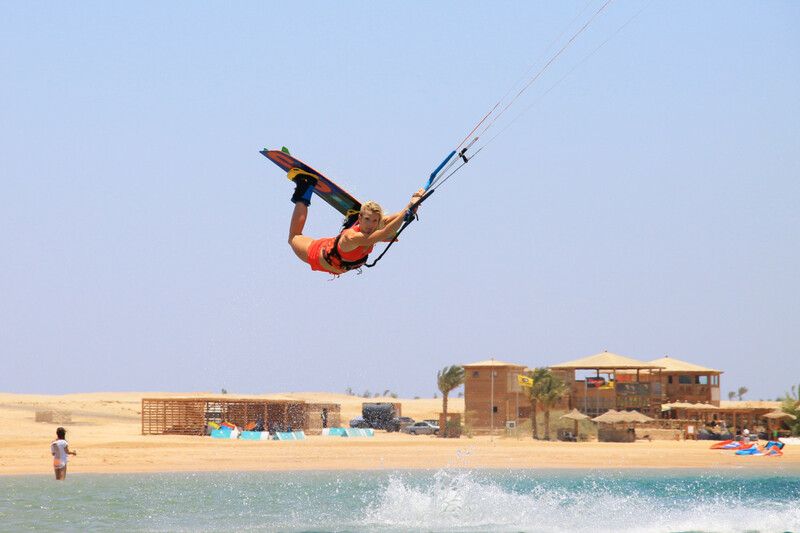 These first lessons are invaluable and will set you up for all your kitesurfing to come. You can’t put a price on safety. Next do your research and find equipment that is right for you. You want a kite that is stable, with an infallible safety system and is easy to relaunch. With all these characteristics your confidence can grow allowing pushing your limits. I ride North Kites because the amount of time and money they have put in to development is huge. It is a brand you can rely on to help you become the best you can be.